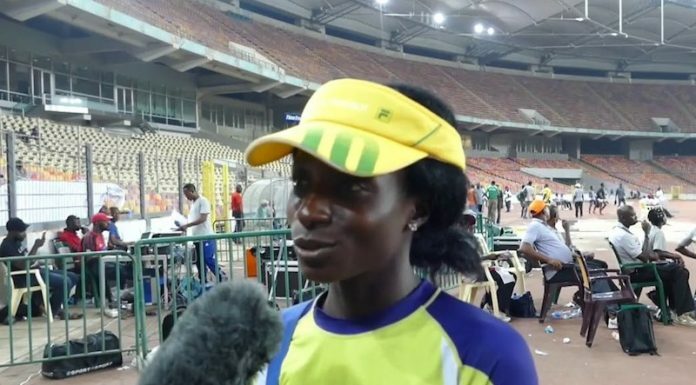 Rose Akusho from Plateau State at the weekend set a new race record in the 2018 edition of the Lagos Women Run when she clocked 34minutes 35.07 seconds to erase Fadekemi Oludeâ€™s 40 minutes 30: 24 seconds of 2016. In weekendâ€™s 10km race, Akusho, gave other runners 10 metres lead to hit the finish line and smile away with the N500,000 star prize at stake. Akusho said after the race that her performance was due to long-term training ahead of the 2018 Lagos Women Run. â€œImmediately, I registered for the Lagos Run, which was my first time, my coach in Plateau State drew up a training programme for me which I followed strictly ahead of the race. I arrived in Lagos one week to the race to get used to the weather in Lagos and the route. The result is my victory. I am very happy for winning this 10kilomentres race in just my first time of participation,â€ Akusho told reporters at the finish line. Hudung Gyang also from Plateau State finish second in 35 minutes 41: 22 to take home the runners-up prize of N300,000. The third place also went to another Plateau State runner, Monica Ezekiel, who finished in time of 36 minutes 03:27seconds to take home N200,000, as the trio completed the Plateau State dominance of the Lagos Women Run 2018 as they won the top three positions. In the Veteran category for runners aged 45 and 70 years, veteran marathoner, Genevive Njoku won the first position to grab the champions prize money of N200,000. South Africaâ€™s Barene Vankorichbesa finished in second place to take home to take home N150,000 and Karim Bolanle finished in third place. She got N100,000 for her efforts. All the top 10 winners in the Open and Veteran categories were awarded cash prizes, while all the runners got certificates of participation and a commemorative medal each. The medals will be given out to the runners today at the Secretariat of the Lagos Women Run inside the Teslim Balogun Stadium, Surulere, Lagos.